Carberry,player,power hitting,slick fielding, first baseman with great Carberry teams of the 1920’s & 30’s. Russel was sometimes recruited to play with Neeoawa High Bluff & Brandon, played against Hap Felsch. H.L. “Krug” Crawford of the Brandon Sun stated that “Red” Atkin was one of the most colorful and popular athletic figures in Western Manitoba and was a power in baseball and hockey. Russel’s potent bat broke up many a tight ball game and he was a competent umpire and referee. 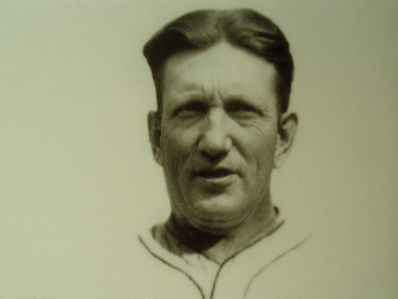 Bill Addison said “Red could have been a professional in baseball and hockey but the barber opted to stay in Carberry and care for his widowed mother.